Say It Aint So Joe: Joe The Plumber Isn’t Even a Plumber! “Joe the Plumber” isn’t really a plumber. 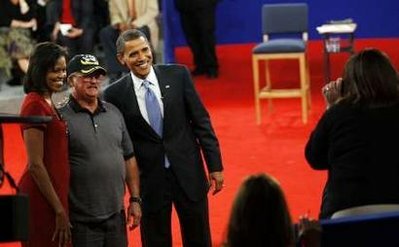 He’s an unlicensed and unregistered employee of a small plumbing and heating company in suburban Toledo, Ohio, who was mentioned 26 times during the 90-minute presidential debate — the war in Iraq received only six mentions. Go figure! Before the debate was even finished, three local television stations had parked live satellite trucks outside Samuel Joseph Wurzelbacher’s home on Shrewsbury Street in Holland, Ohio, and the networks were rushing to interview him. 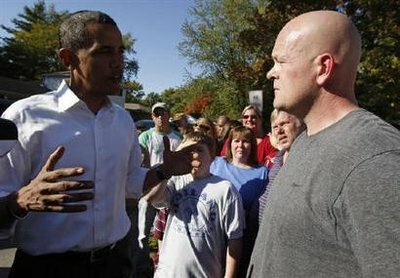 Overnight, Joe the Plumber became a national celebrity. On Sunday, he was playing football with his 13-year-old son outside his home, when Mr. Obama suddenly showed up to campaign in his neighborhood. As Mr. Wurzelbacher watched his neighbours fawn over the candidate, he fumed. “I didn’t think they were asking him tough enough questions,” he said on Thursday. He shook hands with Mr. Obama and told him he wants to buy the business he works for, adding its income — $250,000 to $280,000 a year — would qualify for a tax hike under the Democratic candidate’s election proposals. But Joe the plumber also acknowledged he earns substantially less than $250,000 ($40,000) which would make Joe eligible under Obama’s plan for a tax cut! “It’s pretty surreal, man, my name being mentioned in a presidential campaign,” Mr. Wurzelbacher said on Thursday. When he went to a gym on Thursday morning he returned home to find 21 reporters camped out in his driveway, and newspaper columnists and Internet bloggers across the country earnestly debating the impact Joe the Plumber will have on the November 4 election. 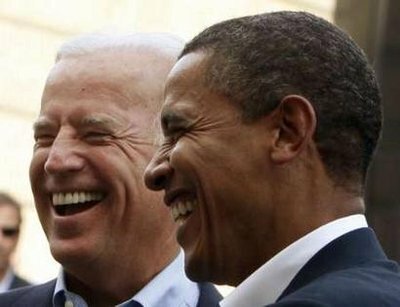 Obama’s campaign took advantage of Mr. Wurzelbacher’s sudden popularity to buy a Google search ad linking Internet users to a Joe The Plumber’s Tax Cut Web site, which has a calculator they can use to work out their tax cuts under an Obama administration. After the Washington Post reported it was unable to find a listing for Mr. Wurzelbacher in the database of the Ohio Construction Industry Licensing Board, the local newspaper, the Toledo Blade, reported Joe the Plumber is an unlicensed employee of Newell Plumbing & Heating. He is not registered to work as a plumber in Ohio. The newspaper also reported Mr. Wurzelbacher had a lien against him by the Ohio Department of Taxation in January, 2007, for failing to pay $1,183 in property taxes. When the president of the Plumbing, Heating, Cooling Contractors National Association in Washington issued a press release applauding Joe the Plumber for helping small business owners play a role in the debate on the nation’s economic future, the business manager of the Toledo local of the United Association of Plumbers, Steamfitters & Service Mechanics issued a statement complaining Joe the Plumber hadn’t even undergone apprenticeship training. “When you have guys going out there with no training whatsoever, it’s a little disreputable to start with,” union boss Tom Joseph told the Toledo Blade. “We’re the real Joe the Plumber,” he added, noting his union backs Mr. Obama. “I’m kind of like Britney Spears having a headache,” Mr. Wurzelbacher said on Thursday. 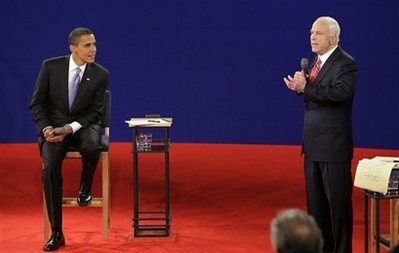 3rd Debate: McCain Came Out Fighting! True … but you did vote with Bush 90% of the time,” says the announcer. 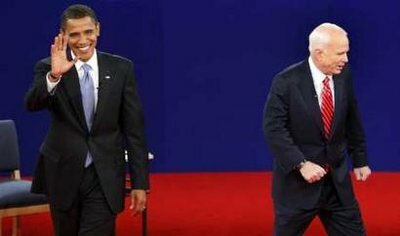 The spot, titled “90 Percent,” contains shots of McCain rolling his eyes, blinking and looking like a deer in the headlights — as sure a suggestion as any that the Obama campaign thought they won last night’s debate as much (if not more) on style as substance. The ad will be airing across the country on national cable beginning today. P.S. Bob Schieffer did a great job! Obama Dominating Among Early Voters In 5 Swing States! Did Early Vote start in your state as yet? If yes, VOTE TODAY! We should caveat that these are not hard-and-fast numbers. Estimates of early voting results are subject to the same statistical vagaries as any other sort of subgroup analysis, such as response bias and small sample sizes.Nevertheless, Obama is leading by an average of 23 points among early voters in these five states, states which went to George W. Bush by an average of 6.5 points in 2004. Is this a typical pattern for a Democrat? Actually, it’s not. 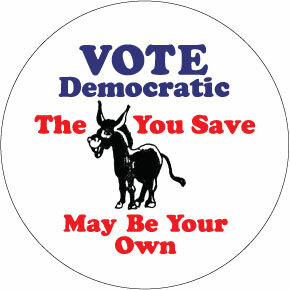 According to a study by Kate Kenski at the University of Arizona, early voters leaned Republican in both 2000 and 2004; with Bush earning 62.2 percent of their votes against Al Gore, and 60.4 percent against John Kerry. In the past, early voters have also tended to be older than the voting population as a whole and more male than the population as a whole, factors which would seem to cut against Obama or most other Democrats.Now certainly, early voters tend to be your stauncher partisans rather than your uncommitted voters — just 1-2 percent of early voters in 2000 and 2004 reported that they would have voted differently if they’d waited until election day. So it’s unlikely that John McCain is actually losing all that many persuadable voters to the early voter tallies. What these results would seem to suggest, however, is that there are fairly massive advantages for the Democrats in enthusiasm and/or turnout operations. They imply that Obama is quite likely to turn out his base in large numbers; the question is whether the Republicans will be able to do the same. 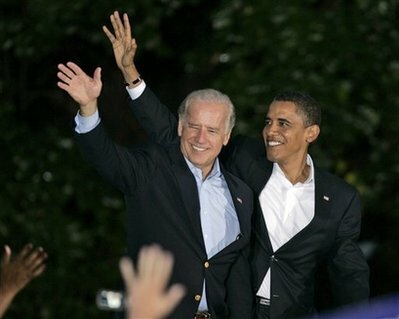 Keep in mind that there are veteran pollsters like Ann Selzer who think that most of her colleagues are vastly understating the degree to which youth and minority turnout is liable to improve in this election; Selzer’s polls have been 5-6 points more favorable to Obama than the averages in the states that she’s surveyed. So while these early voting numbers could turn out to be something of a curiosity, they could alternatively represent a canary in the coal mine for a coming Democratic turnout wave. Where Is The Subprime Crisis Warning Letter McCain Wrote? 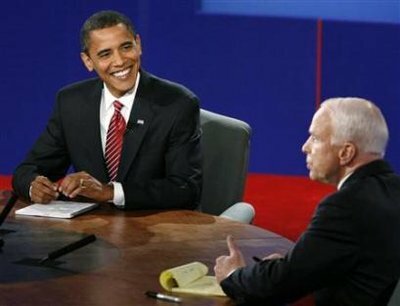 Both John McCain and Barack Obama took turns during the second presidential debate on Tuesday night claiming credit for having warned of an imminent economic crisis. 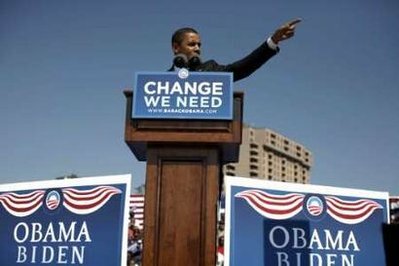 Obama has referred frequently to his 2007 letter to Treasury Secretary Henry Paulson. But Sen. McCain countered by saying that he had written a letter “warning of exactly this crisis.” As far as we can tell, this was the first reference McCain has made of such a letter, and we couldn’t find it. Despite multiple requests, the McCain campaign did not provide comment or the letter. And while neither the government nor the private sector acting alone is capable of quickly balancing the important interests in widespread access to credit and responsible lending, both must act and act quickly. Crediting the senator with a foresight others lacked, however, would be a stretch. The subprime mortgage crisis had been well underway for some time. See, for example, reporting by the New York Times in June 2005 on a growing housing crisis. A month later the Times wrote of the unease among federal banking regulators with regards to high-risk mortgage loans. I think if we act effectively — if we stabilize the housing market, which I believe we can if we go out and buy up these bad loans so that people can have a new mortgage at the new value of their home; I think if we get rid of the cronyism and special interest influence in Washington so we can act more effectively — my friend, I’d like you to see the letter that a group of senators and I wrote warning exactly of this crisis. Senator Obama’s name was not on that letter. Michelle Obama is smart, eloquent, positive, confident, powerful and phenomenal! 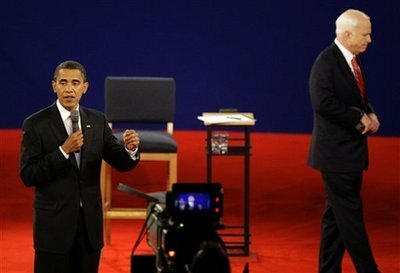 Obama WINS 2nd Presidential Debate! 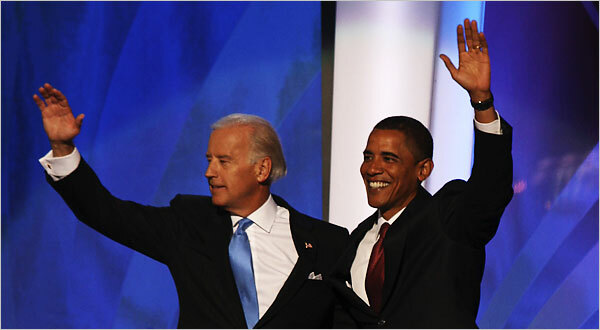 Barack Obama won last night’s ‘Town Hall’ unequivocally, clearly, indisputably! It wasn’t even close. McCain looked shaky, uncomfortable and uncertain. Obama seemed fit, energetic and commanded the stage. 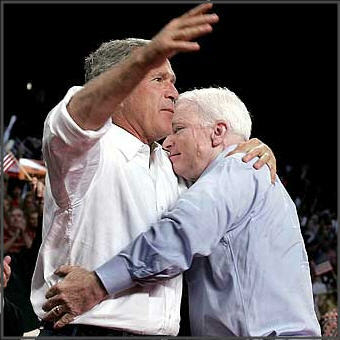 At times, when McCain moved around he almost looked lost. In addition McCain did nothing to change the dynamic of the race and change it is what he fervently needed to do. 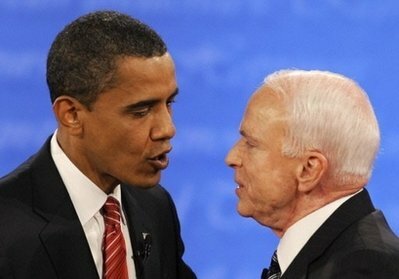 Before the ‘Town Hall’ Team McCain said they were taking the gloves off and would assault Obama on his character – McCain did not even lay a glove on Obama on the character issue – I guess he knows the hate he spews while campaigning is crap. 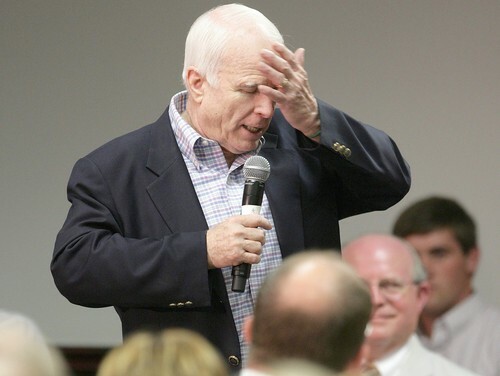 I am shocked and perplexed that McCain did NOT mention how he would help the middle-class; not even ONCE! He has no plans on how he would help the majority of Ameicans – no plans!!! 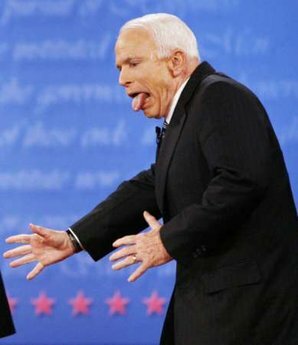 McCain was very repetitive – he repeated almost verbatim full sentences about Putin and other issues that he said in the first debate. 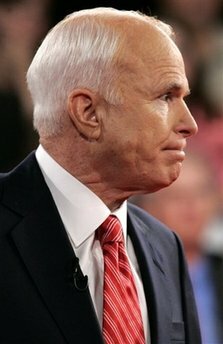 McCain looked very old last night; he used old lines and tried to use old tricks. Yawn. 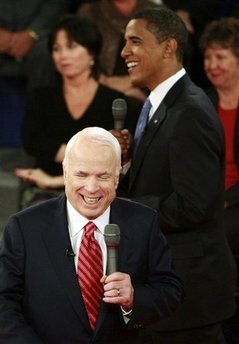 When McCain called Obama “that one” he seemed dismissive and it simply looked and sounded bad. McCain came off like a grumpy old curmudgeon. 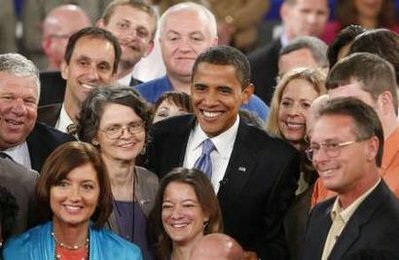 Obama’s entire demeanor was perfect. He was relaxed but serious, confident without being cocky and detailed enough without delving deep into the abyss of policies. He sat on the stool and looked comfortable, confident and cool. Yup, cool. McCain in contrast was clumsy and he looked miserable. He said “my friends” waaay too often (22 times) and made weird gestures. McCain had no game. 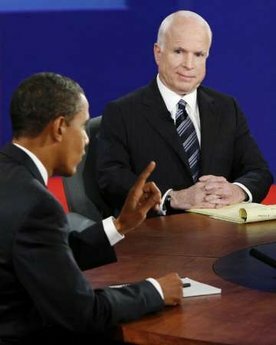 Obama did well on foreign policy, particularly on an Iraq answer towards the end when he hit McCain firmly on the chin: “Senator McCain, in the last debate and today, again, suggested that I don’t understand. It’s true. There are some things I don’t understand. I don’t understand how we ended up invading a country that had nothing to do with 9/11, while Osama Bin Laden and Al Qaeda are setting up base camps and safe havens to train terrorists to attack us. That was Sen. McCain’s judgment and it was the wrong judgment. When Sen. McCain was cheerleading the president to go into Iraq, he suggested it was going to be quick and easy, we’d be greeted as liberators. That was the wrong judgment, and it’s been costly to us.” Ouch! 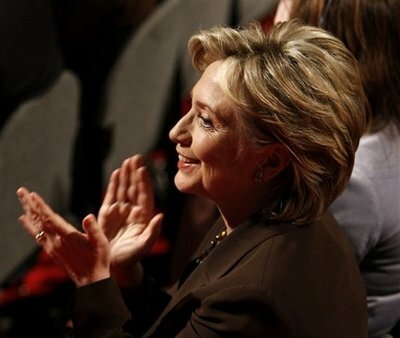 One thing that especially stood out to me was what happened AFTER the debate. Sometimes what a person chooses not to do is as important as what they do. 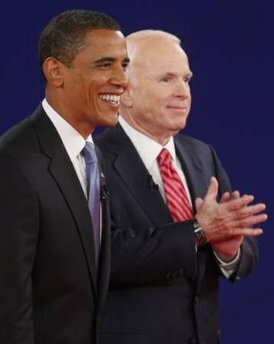 Instead of walking toward Obama to shake his hand, McCain instead walked to the audience and started shaking hands with people in the audience – peculiar. 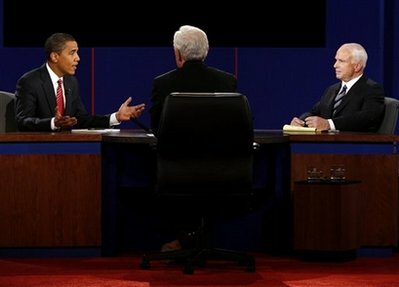 I’ve never seen that at the end of a debate before. 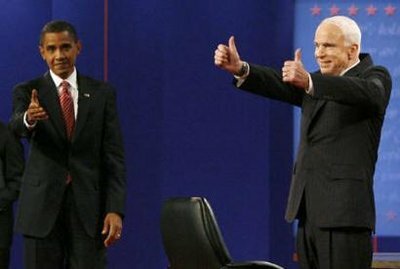 Obama started to approach McCain and backed off allowing McCain to continue what he was doing. 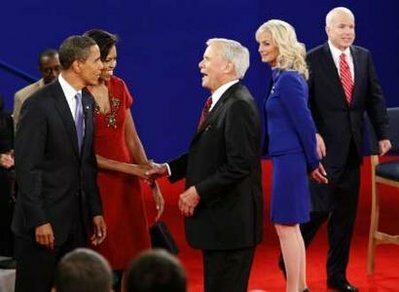 When Michelle and Cindy came on stage for a few minutes it seemed that McCain had again forgotten how to behave politely especially in public when the eyes of the world was watching him. 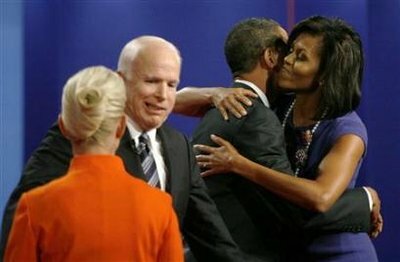 McCain seemed scornful of Obama and he avoided Obama’s offer of a handshake by instead handing over Cindy to Obama so that Obama shook Cindy’s hand, not John’s. Wow, how discourteous. The most idiosyncratic thing though was when John and Cindy disappeared out the hall – they were gone; it’s like they vaporized into thin air – they were no where to be found almost immeadiately after the Town Hall ended. Damn, how unmannerly! The Obamas stayed in the hall and graciously talked with the audience, shook hands and took lots of pictures for about 30 minutes. 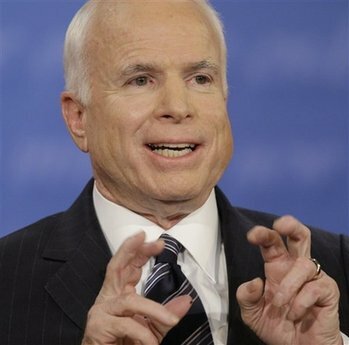 John McCain has no diplomacy skills. He’s like a child who pouts because he didn’t get his way. Is this the person we want trekking around the world meeting with America’s friends and enemies to regain America’s status in the world? I think not! Sometimes what a person doesn’t do is more important and telling than what they do. I hope all you Obama supporters are smart enough to see that this is a good Kenyan witch doctor preacher praying over Sarah – the Bible states that in the ‘end-times’ all roads will lead to Alaska because you will be able to see hell (Russia) from Alaska and pergatory (Afghanistan) is a neighbor of Alaska. Rolling my eyes. Obama supporters are just too blind to see the truth and too sophisticated to understand about witches!